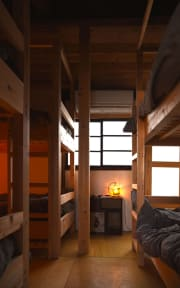 Hostel moku-moku, Osaka, Japonia : Rezerwuj teraz! 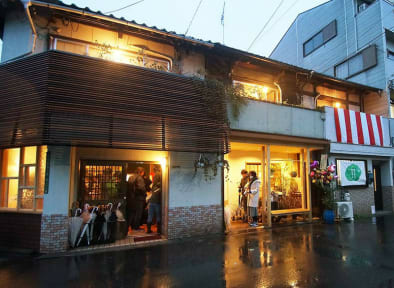 Stay at Hostel moku-moku and take a traditional Japanese public bath. The origin of Japanese public bath can be traced back to 13 century. It was a bath for monks purifying their body at shrine. When the monks opened the shrine baths to the public, Sento (Japanese public bath) culture was began. 'Showayu' is one of the Sento. When you stay at Hostel moku-moku, it is a great chance to take a bath at Showayu without additional fee. There is a free space that the guests can use as a living room. Let us enjoy events, some foods and drinks. 1. Check-in Time: from 15:00 to 21:00. 2. Check-out Time: from 08:00 to 10:00. 3. Payment: Cash (JPY) only upon arrival. (1) Up to 3 days advance notice before the arrival date is required. (2) If cancelled or modified 2 days before the arrival, 30% of the full balance will be charged. (3) If cancelled or modified 1 days before the arrival, 50% of the full balance will be charged. (4) If cancelled or modified on the arrival date or in case of No-Show, 100% of the full balance will be charged. 5. Age Restriction: Hostel moku-moku cannot accept staying of the child only, except with a parent or a guardian. 6. Reception Hours: from 08:00 to 10:00 and 15:00 to 21:00. 7. No smoking in the entire building. Moku-Moku is makeshift in an endearing way. It seems that the owners are slowly investing in the most important things (e.g. security of the building is top-notch, the best of six hotels we've been to during our trip), leaving the less crucial ones (an electric kettle upstairs) for later. Not much shared space, the kitchen adequate but very cramped. Warning: walls are thin, so if you are sensitive to hearing voices/sounds/movement from the neighbouring rooms, it is not a good place for you.